Saddest Eph story of 2010? Will Morris ’89 on trial for fraud. Carolyn Louper-Morris and her son William Morris are set to go on trial Friday in federal court in Minneapolis on charges that they conspired to defraud customers, the state of Minnesota, and a big retailer out of more than $3 million. The federal allegations say the pair set up and ran a company, CyberStudy 101, that fraudulently promised a Web-based tutorial service it never delivered, and illegally received state tax credits as payment, all the while defrauding Kmart Corp. of computers it gave to customers. Louper-Morris and Morris allegedly used the money to buy a house, luxury cars, a fur coat and jewelry. Louper-Morris and Morris, of Minneapolis, may be no different from other defendants who started off with an innovative idea, lofty goals and noble intentions before running afoul of the law. They have rebuffed news media inquiries and waited until the eve of their trial to speak about their now-defunct business. I lived with Will in Carter House for two years. You could not ask for a nicer, funnier or more sensible housemate. Morris, 42, graduated from Williams College, a prestigious school in the Berkshires of western Massachusetts. Later he earned a degree from the University of Minnesota Law School and interned at Best & Flanagan law firm in Minneapolis, which later hired him. Now he works part time in a liquor store “to make ends meet,” Morris says. The business failure forced him into bankruptcy, which along with legal troubles have kept him from practicing law, he said. What a tragic waste of real talent. It is interesting to compare and contrast Will’s fate with that of Mike Swensen ’89, who made a fortune shorting the same housing securities that his firm, Goldman Sachs, was selling to its clients. Were Morris’s actions really more morally/ethically/legally suspect than Swensen’s? Reasonable Ephs may differ. Will an ambitious DA ever go after Swensen? Not in a million campaign contributions. Next week is Claiming Williams. What do you think the biggest difference between Morris and Swensen is when it comes to how the criminal justice system treats them? Other article selections below the break. “This is not who we are,” said Louper-Morris. She admits purchasing the home, cars and furs, but says she earned the money legally. “The law does not say you cannot spend your money the way you want,” she said. And accepting a guilty plea is out of the question. “I’m not going to accept anything that says I’m guilty of something I did not do,” she said. 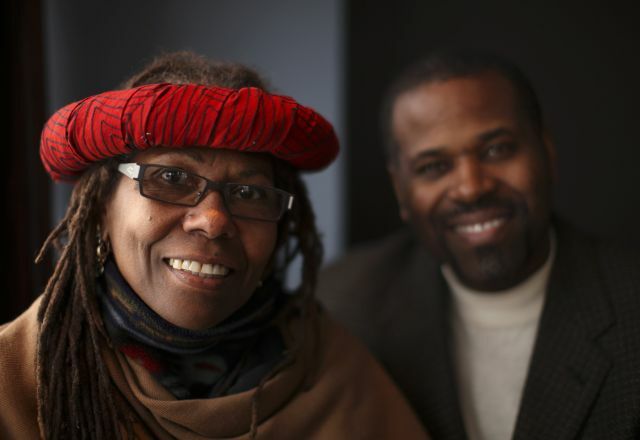 Instead, Louper-Morris and her son tell a story of a strong mother and the son she raised, of the business they created that sought to close the digital divide by getting computers to poor black kids on Minneapolis’ North Side, and of what seemed to them was on-again, off-again support from bureaucrats. William Morris was 5 when his father died. His mother sent him to private schools and made sure he had what he needed. Louper-Morris, 63, was a deacon’s daughter and a striver. She grew up in Chicago and went West for college, where she earned a doctorate in political science at the University of Washington. She made a career of teaching political science and African American studies and ended up a tenured faculty member at a small college in Connecticut. She came to Minneapolis in 1997 to be with her son and to start a business with an online tutorial program called CyberStudy 101, which she had developed for college students and intended to adapt for kids in kindergarten through high school. She would sell it by having families of poor children pay for it through a $1,000-per-child state tax credit that was capped at $2,000 per family, and toss in a computer and Internet access for free. Then the Internet bubble came along, and all sorts of technology startups were selling themselves on public stock markets for many times what they would ever be worth. The company didn’t deliver on its promises, according to the criminal indictment. The kid-friendly CyberStudy tutoring program simply didn’t exist, the government said. Instead, the website contained only Louper-Morris’s old program for college students. The government also says Louper-Morris and her son deceived Minnesota Department of Revenue officials about the transactions between her company and the people she signed up for CyberStudy. And that is where the government’s case gets curious, Louper-Morris said. She showed copies of numerous e-mails and letters between her company and officials in the Revenue Department and the Department of Children, Families & Learning (now the Department of Education), showing government officials trying to help her understand and comply with the law. Further, she said, if officials believed her company had defrauded them, then they would have brought charges, which they haven’t. The document trail also shows that revenue and education officials were uncertain which agency had the authority to approve the CyberStudy tax credits. Revenue and education department officials wouldn’t discuss the case. A spokeswoman for the U.S. Department of Justice said Minnesota officials may not have had the authority or the resources to prosecute. Thank you for bringing this case to our attention. I would love to know more about what happened, and how this case ended up on a federal prosecutor’s docket. A lot of small start-ups fail and leave suppliers out of pocket without there being a hint of illegal activity. Hoping the best for Will. As far as your question, I know both classmates, and know something of the businesses they have been involved in, am knowledgeable about criminal and securities law, and I feel absolutely unable to begin answering it. I can easily come up with excuses for both, and can easily build rationales for condemning both. I echo you thoughts regarding Will Morris. I terrific classmate and fine person. This will give me pause in the future when I read an article that runs the risk of devolving into the stuff of water cooler talk. As I’m sure you all know, the reality is always more complex that its snapshot and the subjects more than a bio and stock photo. From the first week of freshman year onward, Will was and continues to be a close friend and person I hold in high regard. Many of you have fond memories of his wit, integrity, and all around good nature. At this point in time, please take a moment to stop, hold a good thought, say a prayer, or just think twice before participating in borderline gossip masquerading as intellectual debate, however well-intentioned. My utmost thanks, for your comment and your caution. It is advice that I believe all of us, myself included, could use more often. When assumptions are made it hurts everyone involved. These assumptions, made two individuals that are caring, intelligent people seem to be criminal. THEY ARE NOT. These assuptions made the prosecution look ignornat, they are. Dr. Louper-Morris and Will Morris should not have had to go through this after all they have done for students in MN. Students that would not have had the oppurtunities they had if not for the CyberStudy tools and computer. The prosecution can make anyone look bad, this never should have happened and it really makes you scared about the justice system. If you have a job, business, is not your freedom to purchase items you have worked for. How petty. There are murderers and child molesters that have been treated better. This is a trajic mess. EphBlog is powered by WordPress and delivered to you in 0.784 seconds using 40 queries..